C.L.O. Finding out who your friends are: Christopher Olsen 11/5/16 They say crisis is normal to life…well I believe crisis can be an effective tool to reveal alot about your own character and the character and “realness” of those around you. I mean take prison for instance, coming to prison is a pretty d-amned big crisis…Now it’s funny how, when you are out there in the free world and things are going great, everyone wants to call you words like brother, homie, friend, comrade family or whatever F-king term of endearment seems to be acceptable in your circle. Now last time I checked a person’s word is their bond, and when youcall someone brother, sister, homie, comrade, family, friend, or whatever then that means that you genuinely care for and love the person you say that to. Well prison has taught me some valuable lesson about the reality of that. People nowadays use words not really meaning them as they are meant to be used. It’s hella funny though cause when I was out evryone and their mother, called me brother, or comrade and I was there for them, even when it hurt my pockets to do so i.e. other miscellaneous bills, babysiiting their kids, being a shoulder to cry on posting their bail, or whatever, and they always acted like they cared and llike they had my back and I believed in them much like a naive child believes in santa or the tooth fairy. Well when I caught my case, my crisis helped me expose the fake real quick. MOst of my so-called friends couldn’t even be bothered to give me a place to lay my head. The case I was facing was murder. Now that sounds terrible and it is…an innocent man lost his life and that is a d-mned shame. To make it even worse, there’s the fact that I didn’t know this man nor did I ever see him while he was alive. A so-called “friend” bailed me out of jail the same night that she and her boyfriend killed their roommate then brought me to the house after the fact. I seen that mandead and I tried to leave but the so-called “friend’s” boyfriend threatened to kill me. Long story short, iwas convicted of a murder I did not commit becuase the “friend” lied onthe stand in exchange for a 54 month sentence, instead of the 33 year sentence she would have received. In the process I received 500 months for a murder I didn’t commit. Now back to my point, during this crisis you’d think that out of 200 “friends” there’d be alot of people trying to show me support right? WRONG in reality there were fewer than 15 people that had my back in anyway. 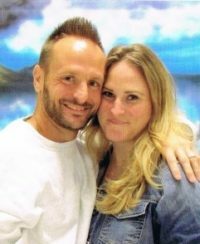 The most surprising thing was my ex, Tamara, a woman to whom I wasn’t really the most honest or caring person towards, came to court and risked her safety to testify on my behalf to help me prove my innocence. That was a very humbling experience and for that she will always have special place in my heart. I will forever be in her debt. A small handful of others sent me well wishes and I appreciate it, but far more turned their backs on me and left me for dead. Those same mother f—kers still be out there with my name all in their mouths cashing in on my good name by saying we are family or comrades, and that is funny because I’ve been in prison 9 1/2 years now and they ain’t even so much as sent me a b-day card or asked my mom how I am doing or even if they can do anything to help a brother out. ( not that I feel entitled to any of that, it’s just that a hi/bye or kiss my a– would be nice yanno?). Now, they never had a problem looking me up when THEY needed something yet as soon as it might cost them even 46 cents they forget how to to get ahold of a mother f—ker. It’s all good though cause just as this sh-t exposed they fake a–es, it also revealed my comrades and family and most definitely the REAL in me. A few nuggets of truth well here they are….#1. Always be aware of who you let in your circle, because not everyone claiming to be a friend has your best interests at heart. My situation is a prime example of that. (Remember Judas? He sold Jesus out for 30 pices of silver, and they were supposed to be closer than close.) So beware when people jump on the band wagon when you’re up and doing good. #2. Be careful how you treat peopl and ALWAYS treat them how you want to be treated no matter who they are, cause you never know who in your circle may just become your guardian angel. ( I love you Tamara, you are atrue friend and I’ll ALWAYS have your back girl). In the end Real will ALWAYS recognize real (I SEE YOU FAM YOU KNOW WHO YOU ARE!) and good things will come to good people…and for the fake ones (you also know who you are…and if you have to ask then you must be part of this group)…500 months ain’t forever and this time was a bleesing so from the bottom of my heart THANK YOU. Remember what don’t come out in the wash, WILL come out in the rinse. I just pray when the chips are down, and your fakeness is exposed, that you have atleast on real friend to show you the way back. One Love, One Life! always stay real! much love, “DIRTY” aka C.L.O. You can reach me at: Or if you have jpay on your phone or computer you can reach me there by registering for e-mail on jpay.com and then putting in my doc# and adding me to your account. Take care and keep your head up, eyes open, and ten toes down. DON’T LET KNOWLEDGE DO (U) it’s a lot of power in words….